Matheson Optometrists now stock Mykita. High fashion and incredible quality. New research has reported that 54% of children aged between 11 and 15 years are unaware of the recommended bi-annual eye check-up. The survey, which was commissioned by frames company Brulimar, found that 68% of none spectacle-wearing respondents were not aware they should have an eye test every two years, with a further 44% having never had their eyes tested at all. As part of the survey, 10 children were recruited to go undercover at school wearing clear-lens Bench frames. They recorded their thoughts on wearing frames, and questioned their classmates, teachers and other adults about glasses and eye health. More positively, the results showed a ‘significant’ shift in young people’s attitudes towards wearing glasses, with many ‘ Eye Spies’ reporting increased confidence after wearing the frames for five days. Scientists from Royal Holloway University are launching a new iPad app to help people with macular disease. The MD_evReader is designed to enhance the eccentric viewing technique for reading eBooks. Text is presented into the reader’s best point of eccentric vision and helps them to maintain a ‘steady eye’. Vision Express has been give a three-year warning in a disciplinary hearing involving seven cases of dispensing opticians who were not registered or who were registered as students and one of an unsupervised student optometrist. Last week's fitness to practise case saw VE admit to the eight allegations in a case sparked by an anonymous complaint to the GOC on July 15 2010 about the status of Mehmood Jagani who had been working as a DO while not GOC registered. When this was followed up by the GOC, VE responded on March 15 2011 to this query and provided details of six other employees it had found to have practised beyond their registration or practised as a professional when they were not registered with the GOC. The letter also detailed a separate investigation into a VE employee Savina Patel who, as a student optometerist, was alleged to have carried out unsupervised sight tests. VE investigated Jagani, who worked from September 23 2009 and October 29 2009 as a DO without a written contract. He was given the role of a retail associate when it was identified that he did not have a GOC number. VE stated that he did not fit contact lenses during his employment, but he dispensed optical appliances to patients aged under 16 and it is possible he dispensed optical appliances to blind or partially sighted patients when he was not under supervision as he was believed to be a GOC-registered DO. He was dismissed on the grounds of gross misconduct by VE after a disciplinary hearing on September 22 2010. The company added that a broader investigation identified three areas that required immediate improvement - lack of appropriate checks, a lack of knowledge at management level of regulatory requirements and reliance on the probity of individual staff members. It said it was taking steps on a nationwide scale to remedy any weaknesses in its systems. In carrying out its review it found six other staff members (Anna Sergeant, Mark Heinz, Akshay Patel, Deena Ataie, Mohammed Sheikh and Sarah Ferrer) who had been using the DO title when unregistered or registered as student DOs, and that thorough investigations and formal disciplinary action had or would be taken. Finding VE guilty of misconduct, the committee noted that it had been open and honest with the GOC, that the admitted facts were largely based on VE's own investigation and it had put in place various remedial steps to minimise the risk of regulatory breaches. It had a new policy on sale and supply of spectacles with a signature sheet for each member of staff and a professional services policy had been created for use in stores. It was also trialling a PIN scheme for restricted dispensing and a tag scheme attached to frames used in restricted dispensing that could only be removed by a registrant. The committee added that it had borne in mind the failures identified in the main took place in 2010 or earlier. While it said the concerns raised by the case did not reach the threshold for impairment, the committee believed they were sufficiently serious to require a formal response and concluded that a warning was appropriate, while noting VE had shown insight into its failings. It added that appropriate steps had been taken and the three-year warning was to ensure that VE remained focused on the undertakings it had given. The chair of the National Association of Primary Care and NHS Clinical Commissioners, Dr Charles Alessi, has welcomed new guidance for eye care commissioners which has been published by the College of Optometrists and the Royal College of Ophthalmologists. Authored by leading eye care clinicians, the guidance released last week (February 14) focuses on glaucoma-related services and aims to provide valuable support to those designing and delivering eye care across the UK. Over the coming months, the College’s will publish a range of recommendations on improving services for age-related macular degeneration, cataract, diabetic retinopathy, low vision, oculoplastics and urgent eye care. The guidance was developed with support from a range of clinical commissioners at the National Association of Primary Care, Royal College of General Practitioners and the Department of Health’s Right Care Team. Chair of the College of Optometrists, Cindy Tromans, added: “People with eye conditions need a range of services in hospitals and in the community. It is impossible to integrate that care unless all the professions involved in delivering it work together. The world’s first ‘bionic eye’, which could help people regain their sight, has been approved for use in America by the Food and Drug Administration (FDA). 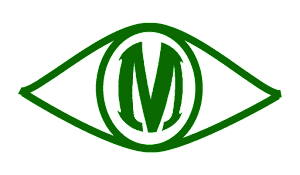 Created by Second Sight Medical Products, the retinal prostheses company has been developing the Argus II device for more than 20 years. Designed to treat patients with late stage retinitis pigmentosa (RP), the announcement follows a unanimous recommendation by the FDA’s Ophthalmic Devices Advisory Panel in September 2012. The device was approved for use across Europe in 2011. President and CEO of Second Sight, Robert Greenberg, said: “We are thrilled to be able to offer the only FDA-approved long-term therapy for people suffering from advanced RP. The device uses a camera and video processor mounted onto sunglasses to send captured images wirelessly to a tiny receiver on the outside of the eye. Once these electrodes are stimulated, messages are sent along the optic nerve to the brain. A revolutionary new laser treatment for one of the leading causes of blindness is showing promise in a trial being conducted at the Melbourne-based Centre for Eye Research Australia (CERA), funded by the State Government of Victoria, Australia. Professor Robyn Guymer with an eye chart. The trial into dry age-related macular degeneration (AMD) is leading the world in treatment for the debilitating disease, which is the main cause of vision loss in Australia. AMD is a progressive disease affecting the central area of the retina called the macula. Half a million Australians – 15 percent of people over 50 – live with the early stages of the disease, which is estimated to cost the community more than AU$2.6 billion annually. The trial, involving 50 patients, is being conducted by CERA and the University of Melbourne in partnership with Ellex. It is being carried out at the Royal Victorian Eye and Ear Hospital, with further research contributed to by Dr Erica Fletcher and Professor Algis Vingrys from the University of Melbourne. Head of Macular Research at CERA, Professor Robyn Guymer, said Retina Regeneration Therapy (Ellex 2RT™), unlike existing AMD treatments, targets the disease in its early stages before sight is lost. “What has been quite unexpected in the trials so far is that the treatment is arresting progression not only in the treated eye but, intriguingly, in the other eye as well,” Prof. Guymer said. Prof. Guymer said the treatment involves a novel laser device, an Australian designed and manufactured laser by Ellex R&D Pty Ltd, which is specially designed to deliver a controlled nanosecond dose of laser energy into the eye. “These initial results suggest Retinal Regeneration Therapy eliminates the yellow deposits known as ‘drusen,’ which are present in the retinal tissue of people with age-related macular degeneration,” she said. Victorian Innovation Minister Gavin Jennings said that the results so far were extremely exciting. "The treatment is working consistently and, given the positive results to date, it is likely people around the world will be keen to use the treatment – the only treatment available to slow the disease,” he said. “By helping fund trials such as the world-first retina regeneration therapy, the State Government of Victoria, Australia is taking action to improve the health of millions of people,” Mr. Jennings said. The State Government of Victoria, Australia provided AU$540,000 through the AU$41 million Victoria’s Science Agenda Investment Fund for CERA to conduct the trial. The announcement coincides with BIO2010 in Chicago, the world's largest biotechnology convention, where the Governor of Victoria Professor David de Kretser, AC is leading a Victorian consortium of investors and biotechnology companies. "So the Oxy-Iso filter concentrates its enhancement exactly where red-green colour-blind folk are deficient," he said. Daniel Bor, a colour-blind neuroscientist at the Sackler Centre for Consciousness Science at the University of Sussex, said they made red colours appear very vibrant. But he had some reservations, because they also made yellow light invisible. "My daughter's baby monitor has some yellow lights on it and I couldn't see them at all," he said. Last weekend staff from the Royal Eye Infirmary in Plymouth marked their move to new facilities at Derriford Hospital by pushing a giant inflatable eyeball between the two locations. Wearing T-shirts which read ‘Let’s get the RE(eyeball) rolling,’ staff carried the giant white and blue eyeball, which was sourced from America, over three miles before being greeted by the chief executive of Plymouth Hospitals NHS, Ann James. The new Royal Eye Infirmary at Derriford Hospital is now fully operational. The International Glaucoma Association (IGA) and the Macular Society have announced a collaboration which aims to ensure patients get good quality information about their eye condition. The two charities will be working together from this month and a dedicated team will travel across the UK visiting hospital eye clinics, providing access to free patient literature and delivering presentations to staff on both glaucoma and macular disease. Chief executive of the IGA, David Wright, said: “This collaboration has allowed us to extend our services right across England, Scotland and Wales, so patients across all three countries will benefit. “We are both patient-based charities providing much-needed information, advice and support, so it is crucial that eye health professionals and patients are aware of the resources the IGA and the Macular Society offer. Glaucoma and macular degeneration are two of the biggest causes of sight loss in the UK. 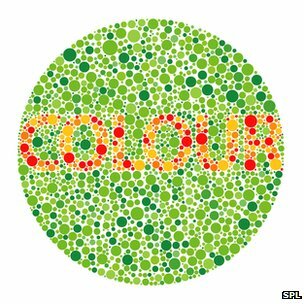 Half of all people registered with sight loss have age-related macular degeneration which mainly affects people over 65. A report published by the College of Optometrists is calling for a more efficient collection of good quality data relating to patients’ eye health, in a bid to improve local eye health services and reduce costs and delays. Released on Monday (February 4), the report highlights how improving data collection can lead to better communication between practices, GPs, hospitals and local authorities. It follow’s Health Minister Jeremy Hunt’s recent call for a move towards a ‘paperless NHS’ by 2015. An estimated one million patients are currently referred by optometrists to their GP or hospital eye care service annually. However, a paper-based system is primarily used for referral, despite postal delays and a problem with the quality of images from retinal cameras or ocular coherence tomography occurring. The report recommends that standardised electronic and digital systems are needed to bring consistency to data capture and measurement. Mr Parkins added: “Good quality information is central to providing good quality, patient-centred eye care. Having more detailed information at your fingertips will help health professionals to better meet the eye health needs of local communities, and ultimately save time and resources. Moorfields has confirmed it will participate in a clinical trial which aims to evaluate a new therapeutic treatment using eye drops to treat patients in the early stages of diabetic retinopathy. The hospital will be one of 11 centres across Europe taking part in the trial under the umbrella EUROCONDOR, the European Consortium on the early treatment of diabetic retinopathy. The study will evaluate the safety and effectiveness of a new therapeutic eye drop treatment based on two neuroprotective drugs, somatostatin and brimonidine. Researchers will recruit 41 patients for the trial, with screening scheduled to begin at the end of the month. As a result of growing evidence which suggests that retinal neurodegeneration plays an role in the onset of the condition, EUROCONDOR will conduct controlled phase II and phase III studies to assess whether therapeutic strategies based on neuroprotection are effective not only in preventing or arresting retinal neurodegeneration, but also in stopping the development and progression of the early stages of diabetic retinopathy. The EUROCONDOR project began in March 2012, and is expected to be completed in February 2016. The DVLA has introduced a new ruling that accelerates the process of informing drivers that their licence has been revoked. The changes follow a campaign led by Jackie McCord, whose daughter Cassie was killed in 2011 by an elderly man who had failed a police eye test three days before. Following the death of her daughter, Ms McCord collected 45,000 signatures petitioning for a change to how licences are removed. Under the old scheme, police had to send a letter or fax to have a licence revoked; a process that could take several days. Under the new rulings, known as ‘Cassie’s Law,’ police can make a telephone call or send an email requesting a licence be removed. This means that the process could now take minutes. Road Safety Minister Stephen Hammond said: “We have every sympathy with Mrs McCord and would like to thank her for her valuable work in raising awareness of this issue. The DVLA and the police have worked closely to greatly streamline the process for revoking a licence when the police identify that a driver’s eyesight is inadequate. Life is a series of moments combined into memories. Finally, there is a way to capture those moments without having to sacrifice style or performance........... iON was built to be a goggle that can hang in the park with you on the biggest jumps or simply cruise some fresh corduroy with the family. Whatever the Journey, iON will help you never miss a moment! iON captures 1080p HD quality video while on the move or standing still. Want to snap a quick photo? No need to take your gloves off, iON can shoot up to 8 megapixel photos for quick, easy, HD imagery. The iON by ZEAL is born out of the need to continually evolve and lead the industry through technology that does nore than just exist, it redefines how you see the mountain. 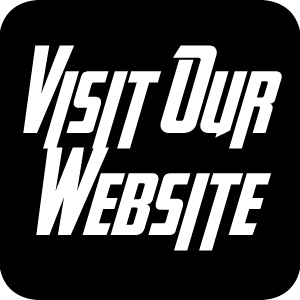 Easily integrate with all social media outlets like Facebook, Twitter, Instagram and more to share your memories. desired settings and review the videos + photos you Shoot. 720p @ 60 FPS and 720p @ 30 FPS. 32GB. It comes equipped with an 8GB SD card which is enough for a couple of hours. - The battery is a powerful 1200mAh lithium ion rechargeable type. Spectacle makers have managed to avert extra costs after a European body placed no further restrictions on the use of cadmium for metal spectacle frames. It followed a consultation and review by the European Chemicals Agency (ECHA), which concluded additional regulations for the chemical were not warranted. The Optical Confederation responded to the consultation in May last year, arguing changes would result in higher costs as all frames would need to be checked for compliance. Malcom Polley of the Optical Confederation said: 'The ECHA has rightly recognised that the use of metals in spectacle wear differs from jewellery because of the use of nose pads and end pieces which protect the wearer. The need to further restrict the use of cadmium in metal spectacle frames fell outside of REACH (Registration, Evaluation, Authorisation & restriction of Chemicals) provisions, which are European Union regulations that came into force in June 2007, a statement noted. The Confederation has also responded to a consultation on the revision of European legislation on medical devices on behalf of the profession. In relation to cosmetic contact lenses, it stressed that all contact lenses should be subject to 'the same harmonised standards and post-marketing vigilance systems'. 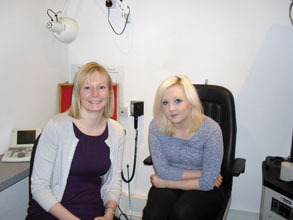 An optometrist has won praise after the life-saving referral of a young patient who turned out to have a brain tumour. Practitioner Anna Lewin was called into action in October last year, when 23-year-old patient Amber Carter was advised by her GP to book an eye appointment because she had felt unwell for several months. Symptoms had included sickness and headaches. Following the eye examination, at Haine & Smith Opticians Chippenham, Lewin detected that the optic nerves of both the patient's eyes appeared swollen and referred her straight to Royal United Hospital in Bath. The following day she had a nine-hour operation at Frenchay Hospital Bristol to remove a benign tumour that was described as being the size of an orange. Although the tumour was not found to be cancerous, the patient developed right-sided weakness following the surgery and is now having physiotherapy three times a week. 'If I hadn't gone to the opticians to be honest I probably wouldn't be here now so I'm really grateful,' she said. Lewin, who has been with Haine & Smith for 10 years, said she knew the swollen optic nerve could potentially have been caused by a number of other conditions. She added that 'it could've been catastrophic' had the tumour gone undetected any longer. An Indian designer, Sumi Dagar, is developing a smartphone that can be used by people who are blind or have low vision. Mr Dagar’s prototype Braille smartphone is expected to be ready by the end of February and the first model could be on the market within a year. “The basic handset I am working on now has words and numbers going up and down in Braille. So a user can touch them and recognise or locate numbers and names,” said Mr Dagar. The screen is covered in pins that can rise up from its surface to form Braille words and numbers. Mr Dagar is working with a four-member team comprising individuals from the Delft University of Technology in the Netherlands, New York University in the USA, India’s National Institute of Design and the LV Prasad Eye Institute (LVPEI) in India. His partners in the five-year project, which started in 2009, are the Indian Institute of Technology Delhi and the LVPEI. He says that several other research institutions have expressed interest in collaborating on the project. One Chorley-based optometrist is on a mission to educate young people in the local community about optometry as a future career option. Suzanne Dennis (pictured) will take part in a careers fair at Parklands High School next week (February 8). The fair will be attended by more than 450 year nine, 10 and 11 pupils at the school. The invite comes after the independent opticians held a series of career evening in practice last year. Ms Dennis said: “Before Christmas we held our own careers evenings at our Eccleston and Standish practices and received excellent feedback from the students who attended.